In Boston an eco-billionaire dies mysteriously at the point of discovery of an elixir derived from the primal Fibonacci code to save an overpopulated world from threatening plagues and bio-warfare. His companion Mrs G seeks help from a powerful Cabal in Washington in her quest to solve ancient codes, little realising she is opening a Pandora’s box of intrigue placing her own life in danger. Her hunt for clues takes her into a parallel Elizabethan world of mysticism and murder, uncovering an occult intellect secreted since time immemorial by those who seek to rule. 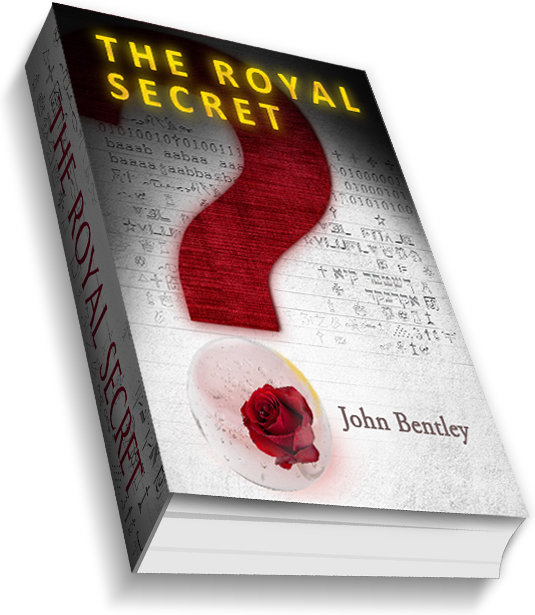 In her search Mrs G unravels satanic secrets from King Solomon, to King Arthur, to the Templar Knights and Tudor Royals, and of sects and scientists seeking the destiny of mankind. With time running out, confiding in a being she cannot be sure to trust, Mrs G questions her own sanity against that of the deluded world of today’s humanity and its blind path to Armageddon in its selfish abuse of Nature. Mrs G is an ordinary woman seeking truth for herself and the two teenage children of whom she is guardian so they may live a future in harmony with their fellow man, and a Universe from whence homo sapiens came.